You are here: Home / Crime & Courts / Missouri House speaker wants investigation into allegations against state Corrections Dept. 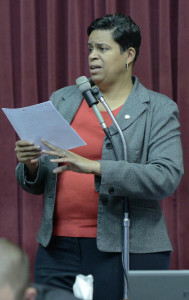 Missouri House speaker wants investigation into allegations against state Corrections Dept. 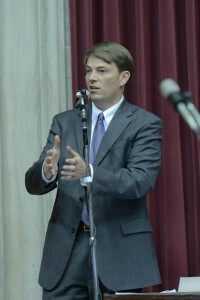 Missouri House Speaker Todd Richardson (R-Poplar Bluff) is calling for a thorough investigation into harassment and retaliation allegations within the state Corrections Department. The move is in response to a story by a Kansas City alternative newspaper called the Pitch, which says the allegations are costing the state millions of dollars in court. The newspaper’s investigation found that from 2012 through 2016, the state paid more than $7.5 million in settlement payments and judgments. The Pitch reports that during the first six months of this year, the department was told to pay more than $4 million to victims. “The problems uncovered within many of the state’s correctional facilities are extremely concerning and merit a thorough investigation of the department’s practices. We cannot and will not tolerate what appears to be a pervasive culture of sexual harassment that is also costing taxpayers millions of dollars. My colleagues and I will work with our new governor to ensure this kind of inappropriate behavior is not allowed within any part of our state government,” says Richardson in a statement. House Minority Leader Gail McCann Beatty (D-Kansas City) says in a statement today that she’s pleased with Richardson’s decision to call for an investigation. Governor Jay Nixon (D) was asked today about the issue. He says he doesn’t have enough detail to be insightful about the litigation involving the claims against the department.